Premises liability stems from landowner or occupier’s legal duty to persons present on the property. Although it affects both commercial and residential properties, premises liability claims are more common, and often more substantial against owners of commercial property. Office buildings, hotels, retail stores, car dealerships, and grocery stores are all common sites of slip-and-fall accidents and other similar injuries. Florida law requires property owners to keep their property in reasonably safe conditions. The extent of this duty depends on the status of the person injured. Visitors are classified under law as: (1) a business invitee, (2) a licensee, someone considered a social guest, or (3) a trespasser on the property. The first two categories of people are entitled to a higher degree of care. This duty is non-delegable, which means that even if a business hires an outside company or contractor to maintain the property, the owner may still be liable for any conditions that cause injuries to a visitor to the property. We understand that defending against lawsuits can consume the time and energy that would be better spent on your business. 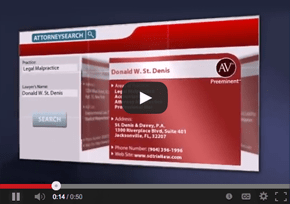 If you are facing a premises liability lawsuit, Florida premises liability defense attorneys at St. Denis & Davey, P.A. can assist you in defending against these claims. Commercial businesses, including restaurants, condos, apartment complexes, hotels, car dealerships, R.V. dealerships, and boat dealerships, are susceptible to lawsuits alleging premises liability claims ranging from slip-and-fall accidents to negligent security. An injured person alleging a slip-and-fall claim must prove that the company did not exercise reasonable care in inspecting, maintaining, or operating the premises, or did not adequately warn customers of dangers that may be present(such as slippery floors or uneven surfaces). Another common premises liability claim is one of negligent or inadequate security. A business owner has the duty not only to have security personnel or alarm systems as reasonably expected, but also to repair any structural deficits in buildings, such as a lack of lighting and broken locks or windows. There are numerous defenses a company may assert against a premises liability claim. By proving that employees regularly inspect the property, eliminate any dangerous conditions found, and adequately warn visitors of these conditions, an owner may be able to avoid liability for injuries that occur on the premises. In any premises liability case, it is important to conduct a thorough investigation of the as soon afterwards as possible. St. Denis & Davey, P.A. is experienced in handling premises liability defense issues and can help resolve any claims effectively and efficiently. The law firm of St. Denis & Davey, P.A., has built a reputation as a fierce advocate defending businesses – including hotels, car, boat, and recreational vehicle dealerships –throughout the state of Florida against personal injury claims, including premises liability claims. Our defense firm also handles legal issues in areas such as consumer law, insurance law, and employment law. 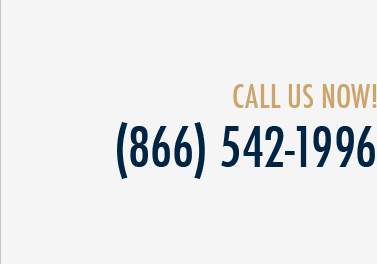 If you have concerns about a premises liability issue, contact a knowledgeable and experienced Florida dealership defense attorney at St. Denis & Davey, P.A., at (866) 542-1996, or fill out and submit our "Contact Us" form.